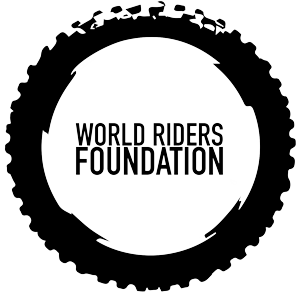 The idea for the Boda Boda Project, building a school for orphans in Mityana, Uganda, sparked when World Riders Foundation founder and CEO, Mike Haley, was on a transcontinental motorcycle trip from Minnesota in the northern US to Tierra del Fuego, the southern tip of South America. After visiting orphanages in Mexico, Honduras and Bolivia, Mr. Haley thought he could do much more than offer some modest financial support. Armed with an entrepreneurial frame of mind and a track record of success launching day care centers in his home state, Iowa, he began thinking about a social enterprise that would sustainably enrich and transform the lives of orphans. Earlier this year, Mr. Haley was contacted by Violet Scovia, Director of the Good Care Children's Ministry, an orphanage in Mityana, Uganda. "We've been messaging back and forth and talking on the phone about the orphanage. We're excited to say that after a couple of weeks in Uganda on an exploratory trip we are hoping to start building in January 2017. The goal is to build a sustainable school there for the kids. Oh and in true form, we'll be riding motorcycles," said Mr. Haley. The Boda Boda Project. Doing good on two wheels.